They even got new beds to keep them cozy. Winter's arrival to the southern hemisphere may still be a few weeks off, but in some places temperatures have already begun to turn chilly. 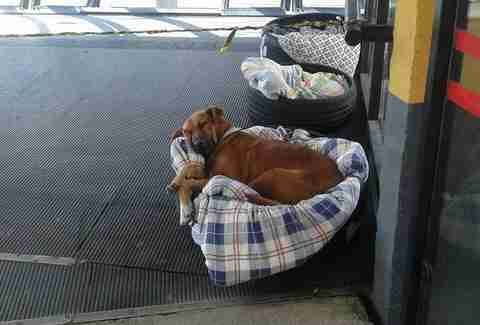 Lucky for this group of street dogs in south Brazil, they've been given a perfect place to keep warm and cozy. It's unclear if the dogs were abandoned, or if they started out life as strays, but nowadays they know what it's like to feel at home. 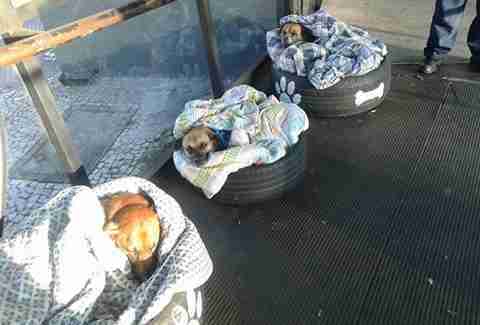 Employees at a Barreirinha bus terminal, in the city of Curitiba, decided to open their hearts — and the facility's doors — to friendly pups who otherwise would be left out in the cold. They're now known as Max, Pitoco and Zoinho. 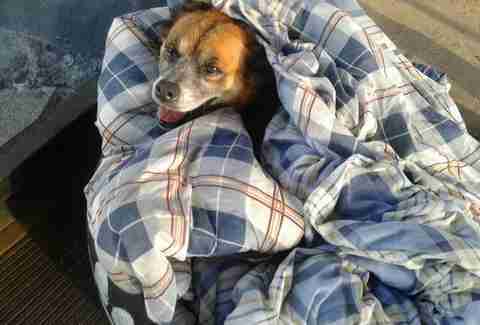 In addition to providing the dogs with food and water, the employees have furnished them with blankets and three new dog beds crafted from old tires. While the new amenities are far from fancy, the dogs clearly consider themselves in the lap of luxury. This gesture of kindness toward Max, Pitoco and Zoinho recently caught the attention of local politician and animal lover, Fabiane Rosa. In a post online, which has since gone viral, she praised those who took the time to make the world a friendly place for those less fortunate pups. "Congratulations to the terminal staff, everyone understands that these angels are there and have a right to be," Rosa wrote on Facebook. 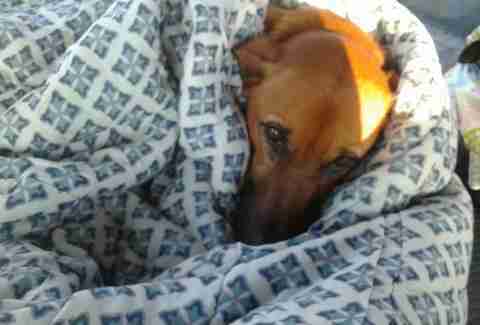 "So many companies in Curitiba could follow this example, adopting a pet. Of course it is not the ideal, but at least there are those who are looking after them."